This month sees the beginning of my three-year project ‘Do Beards Matter? Facial Hair, Health and Hygiene in Britain, c. 1700-1918’. Around September 2014 I applied for a postdoctoral fellowship from the Wellcome Trust, and was hugely lucky and privileged to have been granted the award in January of this year. It’s been a long wait to get to this point, but it’s finally here, and the next few years will see me delving into the archives to see what delights lay in store. But why should facial hair interest us? Surely something so prosaic as a beard can’t tell us much about the grand sweep of history? I thought it might be an idea to say a bit about why it is important and, in fact, takes us to the heart of a number of key issues in the history of the body, health and hygiene and masculinity. The project starts in 1700, a period when the bodily humours still dominated, and older ideas about the body prevailed. As it moves through the Georgian period, it charts a period of almost complete ‘beardlessnes’, which was to be the norm until at least the 1820s. Covering the Victorian ‘beard and moustache movement’ of the mid nineteenth century it culminates at the end of the First World War – a time when moustaches remained popular, while the military motivations for wearing them had declined. Over time, changing views of masculinity, self-fashioning, the body, gender, sexuality and culture have all strongly influenced men’s decisions to wear, or not wear, facial hair. For Tudor men, beards were a symbol of sexual maturity and prowess. 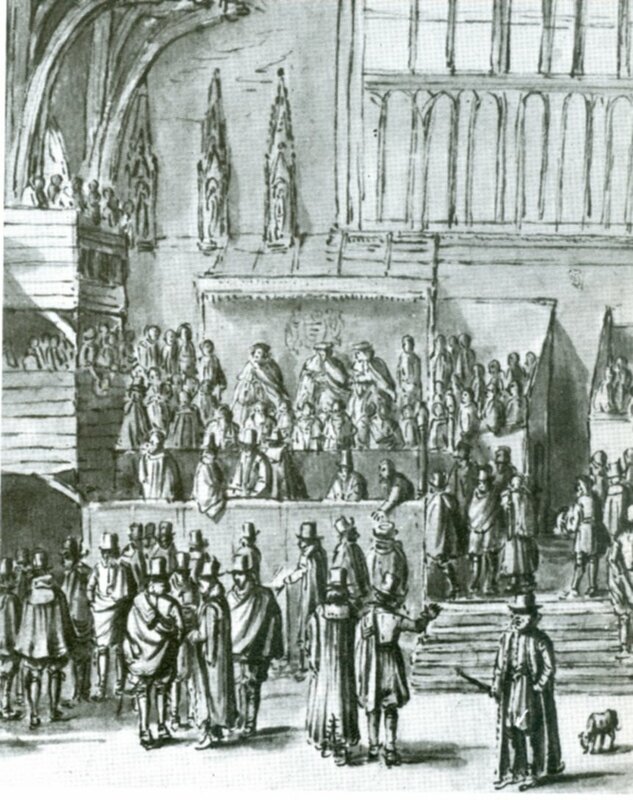 Throughout the early modern period, debates also raged about the place of facial hair within the medical framework of the humours. The eighteenth century, by contrast, saw beards as unrefined and uncouth; clean-shaven faces reflected enlightened values of neatness and elegance, and razors were linked to new technologies. Victorians conceived of facial hair in terms of Darwinian ideas of the natural primacy of men, and new models of hirsute manliness. The early twentieth-century moustache closely followed military styles; over the past 60 years the duration of beard fashions has shortened, influenced by everything from celebrity culture and the Internet to shaving technologies and marketing. At all points the decision to wear facial hair, or not, and its managements and style, involved not only personal decisions, but social, cultural and medical influences, as well as a range of practitioners. Also, from light beards to stubble, and whiskers and moustaches, there are questions about degrees of ‘beardedness’ and the significance of the beard as a binary to the shaven face. But what was behind these changes? Despite recent media and popular interest in the cultural significance of beards (on which point a further blog post is to follow! ), historians haven’t really taken up the baton. Works by Will Fisher, Christopher Oldstone-Moore and Susan Walton have explored the cultural and sexual significance of beards in the Renaissance and Victorians periods respectively, while my own article on eighteenth-century shaving charted its relationship with masculinity and emergent steel technology. So far the focus has been on broad changes in attitudes towards beards, elite fashions and concepts of masculinity at given points in history, rather than across time. To what extent are beards a symbol of masculinity and what key attributes of masculinity do they represent? •	To what extent did the ‘barbering trades influence beard styles and the management of facial hair? How far did they shape trends that were then replicated in personal shaving rituals? 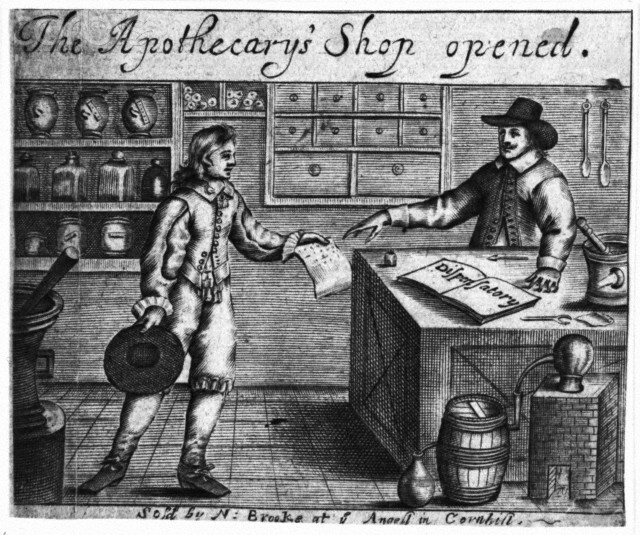 How far did the ‘barbering’ trades cater to wider male health requirements before, during and after the high point of the ‘barber surgeon’ as a medical figure in the long eighteenth century? •	To what extent were beard trends led by the elite and by metropolitan fashion? How far and how quickly did these spread elsewhere? Did the distinct regions of the British Isles have distinct cultures of facial hair? 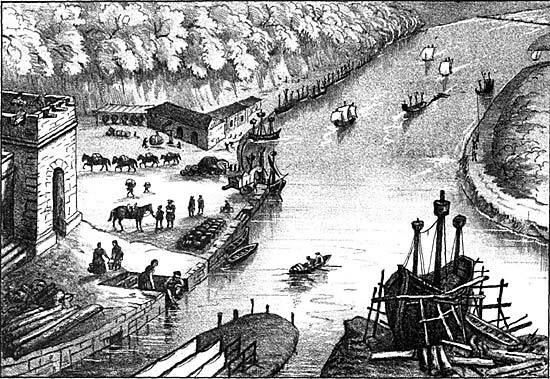 How far did provincial trends influence metropolitan trends through migration? •	What impact did changing shaving technologies have on beard fashions/trends? Firstly, I want to chart the changing nature of facial hair in men’s views of their bodies and masculinity over a longer period than hitherto attempted. The aim is to recover the series of cultural, scientific and intellectual changes that have affected views of facial hair, and to raise questions about the extent to which beards are indeed a symbol of masculinity, and indicate changing conceptualisations of masculinity. Secondly, the role of medical practitioners, and in particular barbers, in shaping both conceptions of, and the management of, facial hair has yet to be fully elucidated. How far, for example, were barbers responsible for shaving and how did the relationship alter over time? This period witnessed both the ascendancy and decline of the barbering profession, but the often-close link between barbering and medicine has yet to be fully explored. Margaret Pelling has demonstrated a close correlation between the two in the sixteenth and seventeenth centuries, but we know far less about how that relationship changed over the course of the 18th century as the role of the barber surgeon disappeared, or of the health and medical functions performed by barbers, say, in the nineteenth century. Thirdly, (and as you might expect from a Welsh/regional historian!) this project moves away from a London-centred and elite-focussed study, instead addressing different regions of the British Isles, and also the question of ‘beardedness’ at different social levels. What, for example, was barbering provision like across both time and location in Britain? A final key question for me, one close to my heart after recently finishing my book on eighteenth-century technologies of the body, is that of the impact and nature of technologies of shaving upon facial hair over time. New technologies, from cast steel to safety razors and scissors, all had an impact upon men’s ability to fashion their own appearance, but the nature of the relationship between the propensity and ability to self-shave requires exploration. How far were new technologies directly responsible for changes in facial-hair styles? And so, after all this, it’s time to deliver, and to do that will require a large and diverse body of source material. Amongst the things I’ll be looking at will be popular and religious texts relating to beards, self-help books such as Jean-Jacques Perret’s 1770 book Pogonotomia, instructing men how to shave, all of which serve to reveal the cultural context of beards. Medical texts from the 17th to the 19th centuries show everything from conceptions of facial hair to preparations to stimulate beard growth. A variety of personal sources, including letters and diaries from Parson Woodforde to the oral testimony of soldiers in First World War trenches are there to be mined for their gems. Portrait collections show the changing depictions of beards over time, while the records and advertisements of razor manufacturers and sellers offer a glimpse of the marketing of shaving technologies. A huge new database of medical practitioners in early-modern Britain will form the basis for discussion of barbers, along with references to the figure of the barber in popular culture, from literature to satires. And so, let’s get started! I’ll be tweeting regular updates from the archives using #beardsproject, and a project website will hopefully be in place soon. 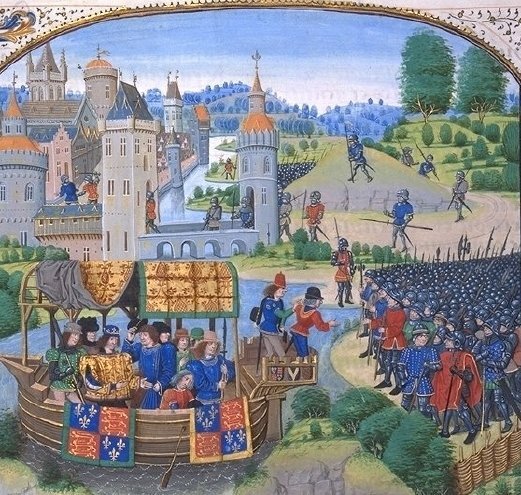 The 1381 Peasants’ Revolt…in 5 tweets! Today is a special post to honour a promise made to my fab groups of University of Exeter History students. Yesterday’s session was all about the 1381 peasant’s revolt. We looked at the various ways in which the rioters were depicted in chronicles, and the many striking similarities in the ways that rioters in recent years have been portrayed in the press. If the Daily Mail had reported on the Peasant’s Revolt, Wat Tyler would doubtless have been depicted in a hoodie! The students were split into two groups, peasants and nobles, and challenged to report the revolt from their point of view in five tweets…complete with hashtags. Both groups did a brilliant job: enjoy!